Maximum Valve Spring Diameter: 1.625"
Race Inspired Components Designed By Racers! JEGS Performance Aluminum Roller Rocker Arms are CNC machined from 2024 aluminum extrusions. 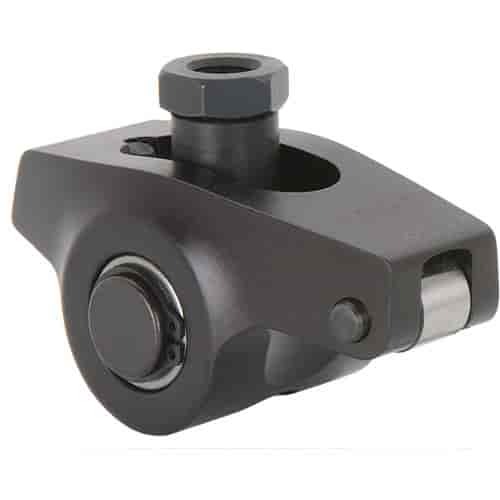 The extrusion is one of the strongest, most accurate light weight rocker arms available. These rockers feature US-made bearings in the fulcrum, 8620 trunion, 8620 heat treated roller tip, and 8620 pushrod seat. You can expect 15+ horsepower just by bolting these on and tossing those heat generating stamped OE pieces, plus you'll increase your rpm range thanks to our lightweight construction. We finish them off with a stealth black anodized finish and laser etch the JEGS logo along with the rocker arm ratio on the face. . Maximum Recommended Load Over the Nose: 800 lbs. Does JEGS 20106 fit your vehicle? Proform 66781 - Valve Lash Wrench Set Nut: 5/8" Set Screw: 3/16" & 7/32"
Proform 66780 - Valve Lash Wrench Set Nut: 9/16" Set Screw: 3/16" & 7/32"
Proform 66779 - Valve Lash Wrench Set Nut: 7/16" Set Screw: 1/8"
Proform 66778 - Valve Lash Wrench Set Nut: 1/2" Set Screw: 1/8" & 3/16"